Fresh out of University and living in Missouri, Wade Foster was not only working a job but doing any sort of freelance web work he could get which paid in money. One thing he was often being asked to do was to create one-off integrations. Such things included the ability to get PayPal sales into ClickBook or to upload a list of leads into Salesforce. So he teamed up with Bryan Helmig, and they had the idea to create something which people could buy to do integrations, rather than having to pay a web engineer to do. And together, they co-founded Zapier. Since their first user of the tool in December 2011, Zapier now has around 1.5 million users who can create integrations between over 750 different apps. 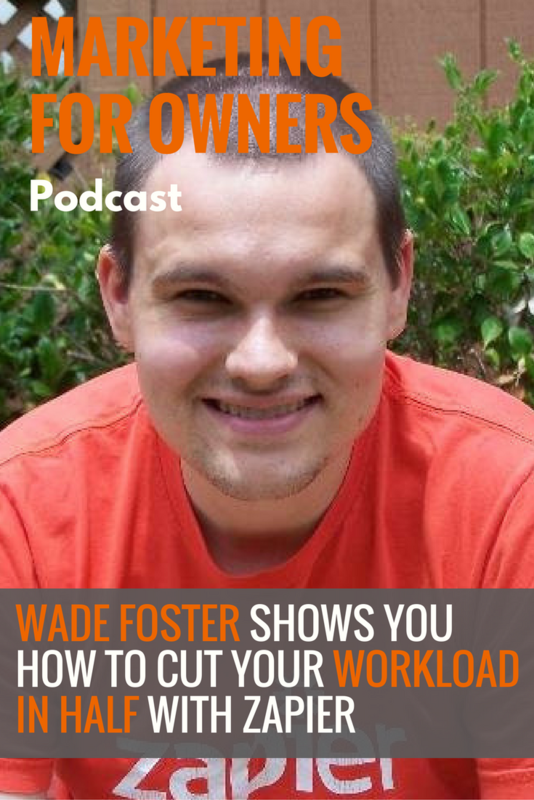 As a result, Wade is responsible for a lot of people having a lot more free time to help grow their businesses. And he is going to help you to stop doing those mundane daily tasks, so you can work more efficiently. Wade and Bryan saw a problem a lot of people were having. They spoke to clients and read in forums that people were always asking for integrations between their favorite apps. Although a big problem for users, it was a low priority for software brands. What they saw was a gap in the market and that there was a real need. So, they decided to give it a go. 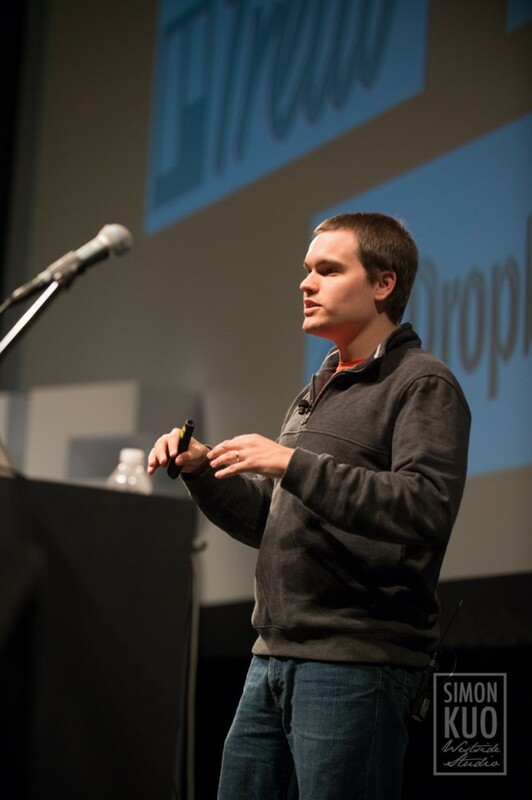 Zapier started out in October 2011, and by the December of that year, they had their first user – Andrew Warner from Mixergy. At the time the product was so hard to use that Wade was regularly doing Skype calls with struggling users to show them how to do something. Every time, he made a note of the problems and would then go back to try and put it right. Over time, they have created a tool which is now easier than ever to use. And now he has so many suggestions from users of integrations and features they want to see, they now have an endless backlog of ideas. Zapier is an automation platform which prevents us from having to do those small daily jobs. It may only take a few moments to copy and paste something, but it all adds up and mistakes can happen. It is specifically a tool for web apps, with over 750 apps available to perform integrations with. These include Google Calendar, Sheets, Docs, and Gmail. As well as Facebook, Twitter, HubSpot, Salesforce, MailChimp, Typeform, and probably every other web app you’re using. You can then create rules which will automate tasks for you. It could be that every time you’re sent an email with an attachment, it is immediately saved in DropBox. Or, if someone fills out a TypeForm, their email address is logged immediately in AWeber. Often, Zapier integrations either don’t already exist in the app itself, or it works a lot better. The truth is that a lot of people don’t even think about the automated processes which Zapier can do, as even being possible. And for years, it has been the domain of engineers to find hacks for these things. As users, we can often become resigned to the fact we think we have to do it ourselves, and therefore spend the rest of our lives copying and pasting data between spreadsheets. Despite there being so many different applications, the most popular Zaps are using spreadsheets and email. Users are either wanting to log data for later analysis or triggering emails to let people know of an action. And thankfully, it’s easy to use. If you know how to use the web app you want to create a Zap for, then you should have no trouble creating the actions and rules in Zapier. Every time they create a new partnership with an app, both companies will email about it, blog about it and share it on social media. That not only gets the word out but also exposes each other’s tool to a new audience. And at Zapier, they streamline their own marketing activities by using Zapier. They can collect the data of users creating integrations between certain apps and add them all to a spreadsheet. They can then send out an email to them all asking for case studies which they can feature, creating a zap which personalizes each email template before sending. Of all the apps they managed to integrate with, Wade says that Salesforce was the hardest to get on board. And yet they were one of the first apps which they wanted to create integrations with. They finally managed to get an introduction, however, only achieved an app exchange listing rather than their usual shared marketing tactic. And they still have a small list of apps they’d like to work with, but haven’t managed, yet. As Zapier has grown, and they’ve proven their value, it’s now far easier to get integrations. In fact, many apps now create their own integrations so that they can utilize the power of Zapier from themselves. After all, for a new app starting out, they can straight away integrate with over 750 different apps, with 1.5 million potential customers. Of course, another benefit is that Zapier works in every country. When you have something which is continuing to grow, it can sometimes be hard to find the motivation to actually keep pushing yourself. It can be easy to just start letting it do its own thing. But this is something they don’t do at Zapier, and Wade likes to think of it as a competition where they constantly want to do better than themselves. They look at the metrics and find ways in which they can get more users than they had the previous month. By doing that, it keeps you in a creative and hungry state. As a result of their success, they are now able to try new things. An example of this is their partner meetups which happen in cities across the world when they have people in town. It’s a worthwhile expense which they once just couldn’t afford. They also now have the resources to try new things, rather than just doing the same old things. It means they can continue to expand what Zapier is capable of automating. They have certainly come a long way from those early years when they were having to work very hard. Zaps are set up to perform an action as soon as a trigger has happened. But with the newest feature Digest, you now have more control over the information. Rather than having lots of notification every time something happens, you can instead limit it to once a day, for example. This allows you to intake the information better do you can analyze it with a daily summary. It is easy to become overwhelmed by the number of notifications you receive, so you just end up paying no attention to any of it. And these can either go to your emails, slack notification, Google Sheets or practically anywhere else you choose. As for the future, they’re currently working to make Zapier useful for teams. Currently, it is only designed to work for one user, but upcoming changes will soon make teamwork easier too. And they’re also working on making integrations deeper, better and easier for their web apps to maintain and put into place. There simply isn’t enough time or space to list every way in which you can use Zapier to make your life easier. Although there may not be an infinite number of possibility, there may as well be. Here is a just a very small selection of ways using Zapier today will help save you time, and prevent things from going wrong. That way, you’ll have more time to dedicate to other parts of your business. Or, you may simply just be able to spend more time with your family as a result of automation. 1. Keep an updated archive of your Tweets or Twitter mentions into a Google Sheets. 2. Receive email alerts for any Twitter mention and record your favorite Tweets in Evernote. 3. Post new Instagram photos to your WordPress blog. 4. Share new blog posts from RSS feeds automatically on Facebook, LinkedIn, and Twitter, even with a delay. 5. Add new items to Buffer from Evernote notes. 6. Receive a HipChat or Campfire message when new items are added to an RSS feed. 7. Send an email with a Google Doc link when a card is moved in Trello. 8. Automatically save email attachments in Google Drive, Dropbox, OneDrive or Box. 9. Create Google Tasks and Basecamp todos from new Gmail emails. 10. Save new Typeform entries to a Google Sheets spreadsheet. 11. Turn inbound emails into Trello Cards, Asana tasks, Pivotal Tracker stories or Basecamp as todos. 12. Archive your emails to Evernote, Google Sheets or a text file in Dropbox. 13. Create invoices in Xero, QuickBooks or FreshBooks for your PayPal sales with no effort. 14. Add new Salesforce leads or Wufoo entries into a MailChimp subscribers list. 15. Transition GoToWebinar registrants to Mailchimp or AWeber. 16. Input Paypal and Shopify customers into your email subscribers lists. 17. Save leads from Wufoo and JotForm Leads into Salesforce. 18. Create Process Street checklists for PayPal sales and refunds, as well as Help Scout conversations. 19. Automatically make new Asana tasks from Trello cards and Process Street checklists. 20. Synchronize your Asana tasks, Google Calendar entries, and Basecamp events. 21. Send Slack messages from Process Street comments, checklists, attachments and checked tasks. 22. Create Google Calendar events from Evernote reminders, Formstack form entries and new rows in Google Sheets. 23. Share data between different Google Sheets spreadsheets. Zapier is free to use, but paid accounts are available for when your Zapier usage increases. As soon as you start using it, you won’t be able to stop as you’ll never want to go back to life before it was in your life. The uses for Zapier are countless. But to get you started, they have lots of suggested uses which are bound to open you up to the possibilities. And it guides you through each step of the process of creating a zap, to make it as easy as possible. To start using Zapier today, all you need to do is visit the website and create your free account. And when you need help, advice and inspiration, the Zapier blog is incredibly useful.